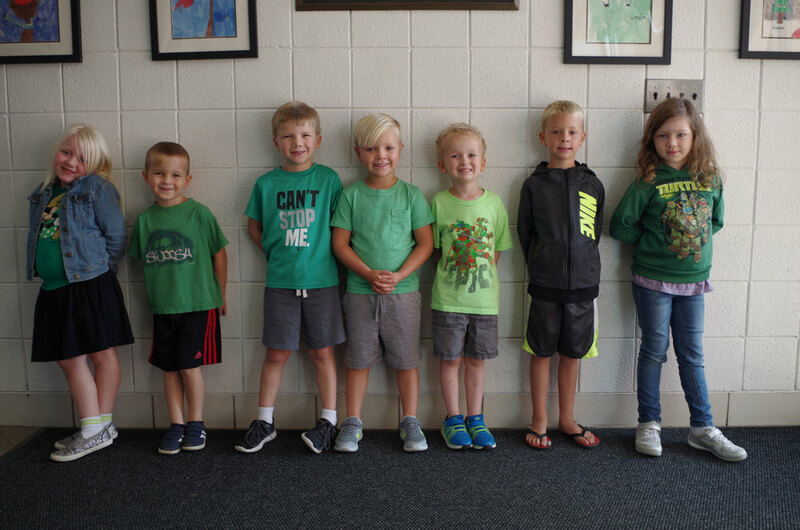 Kindergarten students learn color identification... Each week kindergarten students wear the “color of the day” and staff and classmates dress in that color focus. This day was obviously “Green Day”. Thanks for taking the time to support your kindergartner’s education. To find additional resources to help your student, please visit http://www.pecschools.com/curriculum--92 and click on Kindergarten!